My Panda Space: Thailand, here we come! My cousin has decided to have her wedding in Koh Samui, Thailand. Since I am on my mat. leave, I have decided to bring my kids to Thailand to attend and have a vacation. It was a very long flight and lucky that my mom was going to attend the wedding too, therefore, I had her helping me during the flight. 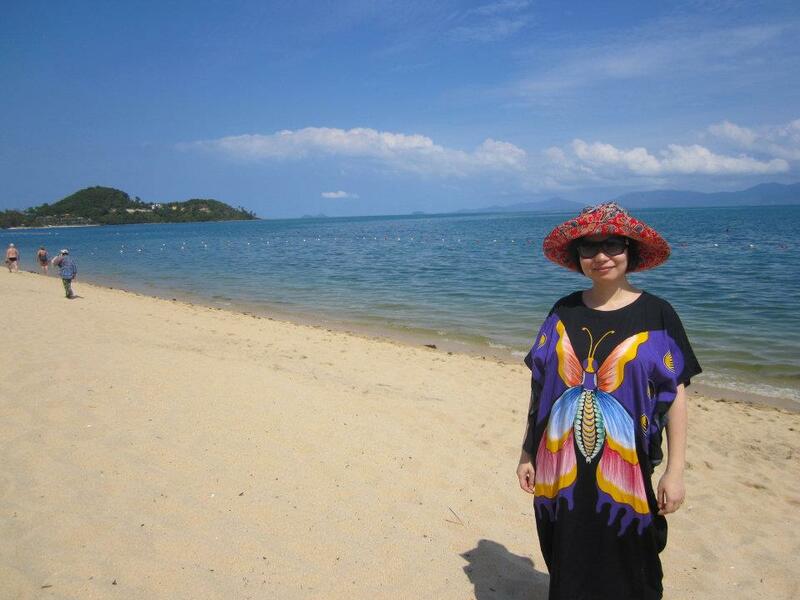 Koh Samui was a very beautiful place and it's my first time there. The place that we were staying was really nice and my daughter really loves the place! Too bad that we only stayed there for only 3 nights, next time I would definitely stay there longer and explore more. Since we had a group of relatives attending the wedding, we booked two vans so that the drivers could bring us to see some attractions on the island. Everyone was having so much fun for the day! The wedding ceremony took place on a beach and it was very beautiful! I was so happy for my cousin and her hubby! The wedding banquet was fabulous and they had fireworks too!